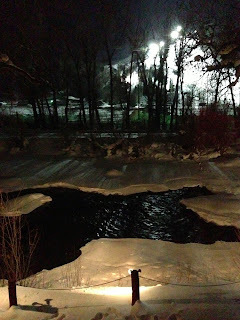 Tonight I went to a Yin class with Lindsey Barr at the Yoga Center of Steamboat. There is a big part of my mind that wants to push myself. It demands so much. I want answers now. I want to find a solution to a problem now. I want life to be all figured out. Today my back still feels a little on the uncomfortable side. I could have gone snowboarding on the mountain today which had talks of great conditions. I could have gone to a more physical class tonight. It seems like the lessons in my face this week are SLOOOOWWWW down. Sit, meditate, breathe, relax...Everything is moving in the proper direction. Everything is wonderful. When I actually sat in class tonight I felt pretty centered. I felt connected with the room. About halfway through the class I realized that 8 years ago in February 2005 I first came to Steamboat. I actually came to the same studio I was in tonight. I remember being so excited for so many things when I first moved here. I was going to learn how to snowboard, see what real snow is, experience a powder day, go camping, hiking, biking, show my dog adventures in the snow and mountains. There was so many things I was so excited to do. I realized tonight (it still feels sad saying it) that Steamboat is my past. I may come back here again, but I see so many more adventures and opportunities elsewhere. I am starting to feel that excitement, joy, and adventurous spirit elsewhere. 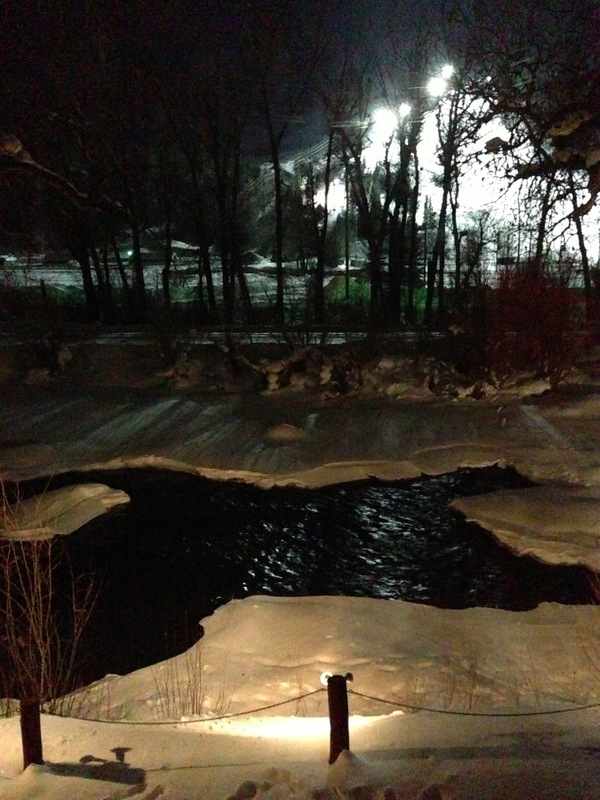 As I lied in savasana tonight I thought of the Yampa river pictured above. I remember when I saw it out the yoga studio's windows the first time. I remember thinking how beautiful and peaceful it all seemed. Memories of all the experiences with the river started to enter my mind. Tubing with my friends in the summer time (ironically the instructor), my dog winning the crazy river dog contest, fishing with my dad, biking along side the river, talking to my mom watching the ducks, finding my secret swimming hole, so much was tied in the river. I am realizing how much of a full circle my life has taken. I am wondering how much I would have noticed tonight if I was still pushing myself. If I was still trying to concentrate in getting into handstand. I think the fact that I was forced to stop, sit, and breathe may have brought me these thoughts tonight. I watched so many memories come and go tonight. Sooooo many good things happened here. Sooooo many lessons and growth here. I left here after my divorce. I fled. I came back here to pick up the peaces and get some answers. Tonight I received what I needed. Thank you Steamboat for EVERYTHING that happened to me here. Steamboat is a great place. I will always have a home here to come visit. I love my friends here, but it's time to move on.